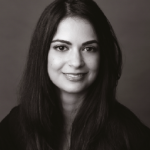 Delaram Saidi explains how to motivate your staff in order to develop your brand, enhance your reputation, and increase revenue…. Delaram Saidi explains how to motivate your staff in order to develop your brand, enhance your reputation, and increase revenue. When it comes to growing and developing your practice, it is important to shift your paradigm and think a little more globally. Your practice is not just an office but rather a brand with its own traits, unique philosophy, and differentiated services. Like all brands, your practice needs ambassadors — spokespeople who embody your values and can validate your superior care. Fortunately in the structure of aesthetic medical practices these brand ambassadors are naturally present. They witness first hand your services, see the results, and facilitate the patient’s experience; yes, your best brand ambassadors are your staff! With the right education, empowerment, motivation, and reward structure your staff will be compelled to be your best brand advocates, helping to recruit and cultivate your patient base. Any effective brand ambassador needs to have a comprehensive understanding of the brand they are representing. With the fast pace of aesthetic medical practices we often assume that our staff is educated on our latest devices, topical therapies, or procedure protocols. Yet their awareness and expertise may be very top-line, limiting the staff’s full potential for patient engagement. As a result, it is critical to invest in detailed, continuous training to foster the right knowledge base. Start by conducting two extensive training sessions — one focusing on your aesthetic service offering and the other on your available skincare. During these training sessions it is important to present and analyze your in-office and at-home topical treatment options in a variety of ways. First and foremost, focus on a particular procedure or skincare product’s respective technology, mechanism of action, usage, and benefits. 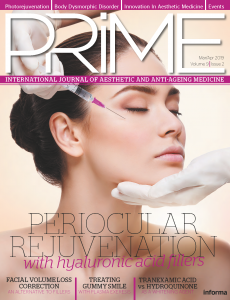 After establishing a fundamental understanding, dissect your procedures and skincare offerings in a more holistic manner by examining them in relationship to skin concern/condition, patient profile, complementary procedure, and treatment plans. As a follow up to the training, establish a performance based reward program whereby your staff can earn points redeemable for procedures or skincare products. The personal experience with these therapies will help broaden their understanding and enable them to speak to the treatments from a first-hand perspective providing the authenticity patient’s seek. After the training sessions it is important to maintain educational refreshers so that the information is continuously reinforced. Have your practice manager or aesthetic coordinator send weekly recap emails to your staff to highlight successes on aesthetic bookings, patient experiences, and skincare sales, and also draw attention to areas of focus for the upcoming week. Equally as important is scheduling monthly team meetings. During these meetings, update your staff on what’s new within the practice including services, skincare or science on an existing technology. This will also give your team an opportunity to refresh their knowledge on your practice’s existing aesthetic platform as you discuss integration. This is a fantastic opportunity to review upcoming promotions and offers so that your staff are aligned with the practice’s priorities. Finally, spend some time focusing on relevant aesthetic services and skincare as it relates to the season, events, or even patient needs. This will help ensure that your staff can prioritize their messaging and hierarchy of communication with patients. With your staff armed with the knowledge and expertise of your services and products, you must now empower them to be your practice’s best brand advocates. For accurate brand representation, your staff needs to be able to authentically speak of your services and added value. This is perhaps the most difficult part of motivating staff. Despite the proper education and patient interaction opportunities, staff members often find it difficult to engage with patients about practice offerings. This obstacle is cemented by fear of being perceived as ‘too salesy’, ‘pushy’, or disingenuous. The next step after procedure and skincare education is to help your staff find the right words and language so that they feel comfortable representing your practice with patients. The best way to help your staff with crafting the right conversation is to dedicate one-on-one role playing time. In this personalized training, play out various patient scenarios in order to give your staff member solid test experiences to draw from when the time comes. Start by outlining with your staff member the desired goals and outcome of these patient interactions, then help him/her create the key talking points so that messaging is defined in a way that reflects your staff member’s speaking style. With these fundamentals in place, role play through common patient engagement scenarios so that your staff member is able to refine his/her script. Hopefully after this one-on-one training, your staff member will have the confidence to meaningfully engage with patients as a brand ambassador. To continue to help facilitate this on‑going empowerment, schedule regular check-ins with your staff and provide real‑time feedback/troubleshooting based on the patient interactions that you witness. Finally develop patient education tools like brochures, before and after books, and menus to assist your staff with talking points and help foster a patient dialogue. Enlist your staff to be key stakeholders in your practice’s success by sharing your goals and objectives. At the team level, review top-line semester or quarterly practice results in one of your monthly staff meetings. During this debrief, transparently share the practice’s successes, such as outstanding patient reviews, growth of certain procedures, or achieving sales forecasts. Conversely, it is also important to highlight untapped or underdeveloped opportunities and allow for a collective brainstorm on ways to realize these practice ambitions. This dialogue will help cultivate a comradery among your staff who will become aligned with your aspirations. As employees, we want to work in cultures and environments that promote our professional development and provide mid-term growth potential. At the beginning of the year set business accountabilities and objectives for each member of staff and meet with them to understand their professional goals and interests for the upcoming months. At the end of the year conduct year-end reviews and provide feedback on your staff’s performance, linking this review process to potential salary increases and bonuses. This touch point also provides the opportunity to discuss the development and advancement opportunities you see for your staff while understanding their mid-term professional goals. To keep your staff engaged and fulfilled it is important to outline a development plan to help achieve their ambitions. 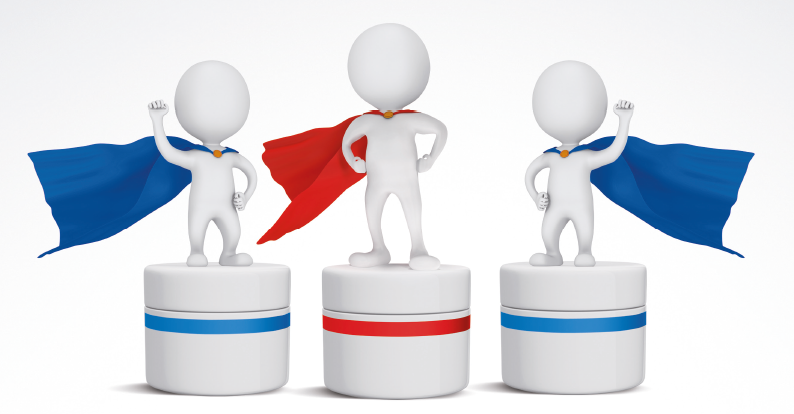 Finally, incentivize your staff to be brand advocates through a multi-tier reward structure. As mentioned earlier, your staff will be able to speak of your services with an added level of expertise once they’ve had the opportunity to personally experience the procedures. Link the complimentary procedures to successful completion of training/education, meeting professional expectations, or achieving a practice goal. For example, if your practice is running a limited-time promotion set a team goal that if met or exceeded your staff will be able to enjoy a complimentary aesthetic procedure. Additionally it is important to motivate and reward staff for their own performance and contributions by creating an incentive program for aesthetic bookings and/or skincare sales they directly facilitate. 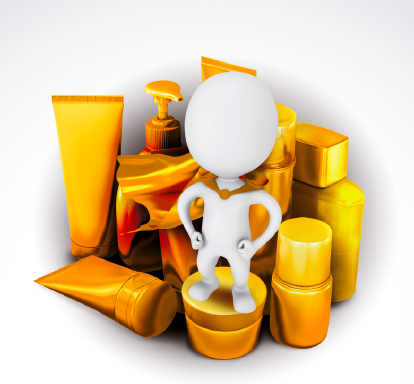 The incentive structure can be commissioned based or redeemable for in-office procedures or skincare products. This incremental benefit will be perceived as a significant added value for your staff as they make the effort and dedicate themselves to becoming your brand ambassador. Your staff are one of your practice’s most valuable resources. They’re responsible for keeping service provider’s on schedule, liaising with patients, and ensuring day-to-day functions are completed in a timely and effective manner. That’s already a tremendous amount of responsibility; however, with the proper strategy you can motivate your staff to transcend beyond their traditional roles to become your practice’s most powerful brand ambassadors. Invested in your brand’s values and co-creators of patient experiences, your staff can compel patients to try new services, expand upon their treatment plan, and in short remain loyal, reoccurring clients of the practice.